Kristin L. Bauer is a Principal in the Dallas, Texas, office of Jackson Lewis P.C. She represents management exclusively in workplace law and related litigation. In addition to handling an active employment litigation docket, Ms. Bauer counsels management on preventive strategies, including termination decisions, investigations, employment agreements, non-compete and non-solicitation issues, wage and hour laws, policies and handbooks, and other issues affecting the workplace. 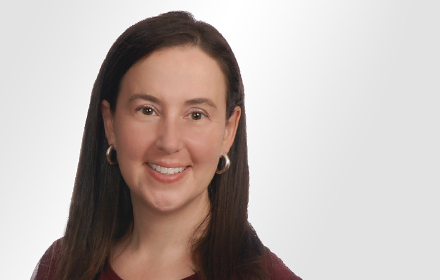 She also provides advice and counsel to employers on the numerous laws touching ill and injured workers, including the ADA, the FMLA, and related state laws, and strategies to manage those risks. Ms. Bauer frequently speaks on a number of employment-related topics. While attending law school, Ms. Bauer was the head articles editor for the Houston Journal of International Law. Ms. Bauer was a judicial clerk to the Honorable Mary Milloy, U.S. Magistrate Judge, in her first year as a licensed attorney. Kristin Bauer and Ted Kazaglis Author "Managing Leaves of Absence in a Changing Legal Landscape"